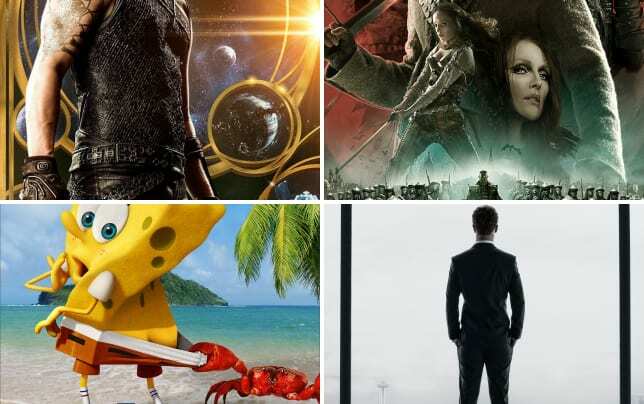 February Movie Preview: Fifty Shades of Grey & More Heat Up Winter! February is practically upon us and for fans of EL James' blockbuster book, that means that Fifty Shades of Grey is almost here! But that steamy film isn’t the only movie that will be heating up theaters this second month of 2015 as the sequel to the film that you can see when you watch Hot Tub Time Machine online also arrives. And for fans of those The Matrix quotes, the Wachowskis returning to the big screen is also fantastic news. They’re back with a sci-fi thriller starring Channing Tatum and Mila Kunis. Yes, this February, Jupiter Ascending will finally arrive! Some of the biggest stars in Hollywood return to the big screen this month as well, from Will Smith and Jeff Bridges to Colin Firth! Click through our February movie preview in the slideshow below and see what other hot Hollywood treats will be warming up this winter month.